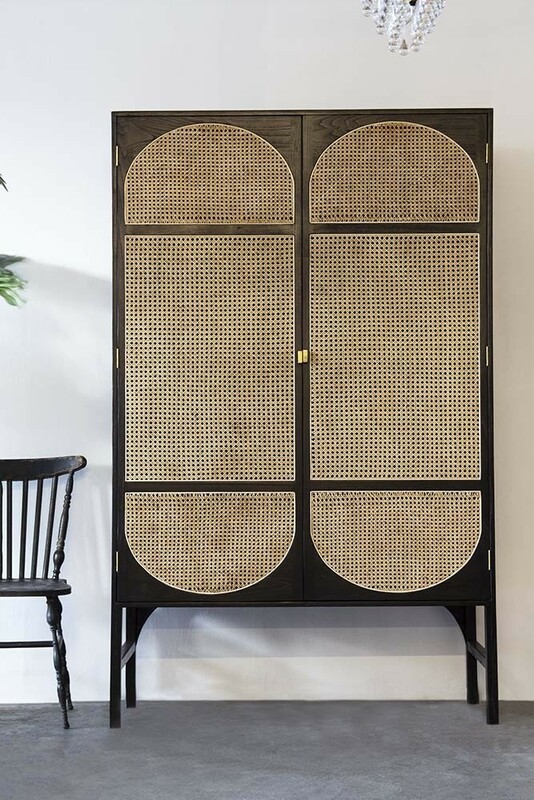 Handmade and oh so beautiful we are utterly obsessed with the Sungkai Woven Cane Wooden Wardrobe! Made from sungkai wood and webbing with brass handles and hinges this beautiful retro style wardrobe is a unique wardrobe that will elevate your interior style in your bedrooms and dressing rooms. 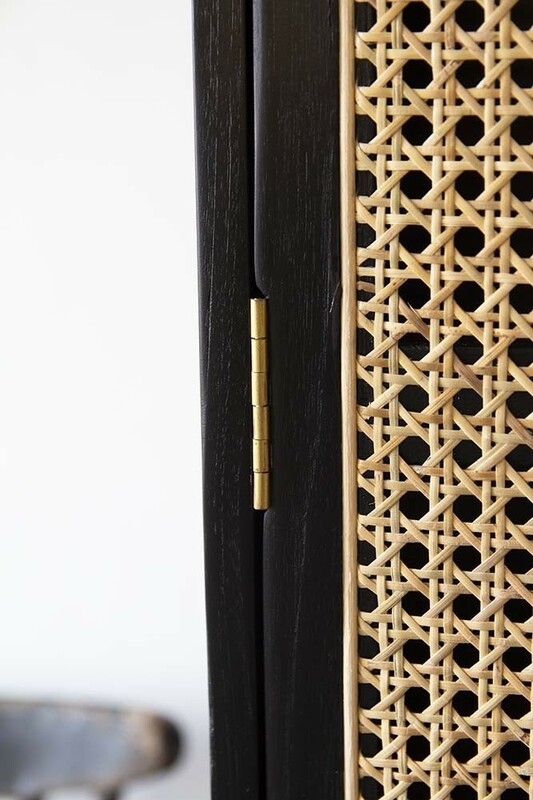 With plenty of storage space, the Sungkai Woven Cane Wooden Wardrobe features on one side a rail for hanging your clothes and on the other side four compartments / shelves for folded clothes, shoes and accessories! 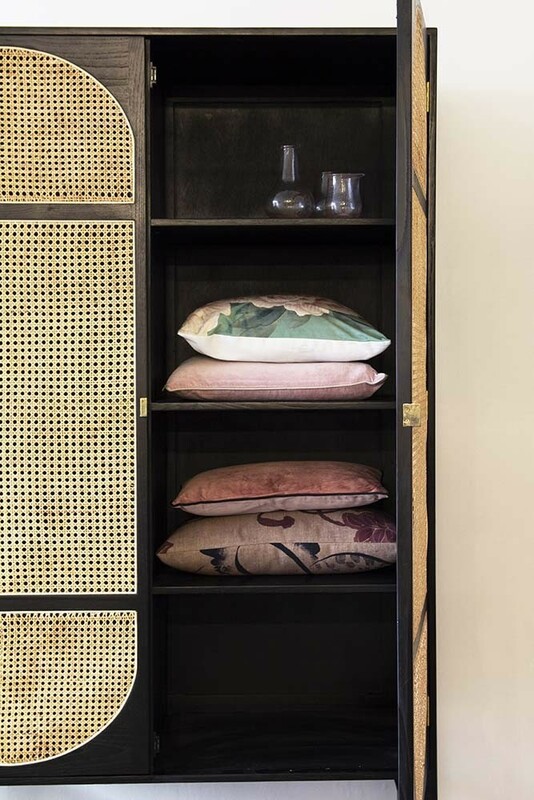 A lovely Malaysian style furniture piece, we particularly love the Sungkai Woven Can Wooden Wardrobe because it of its unique versatility. 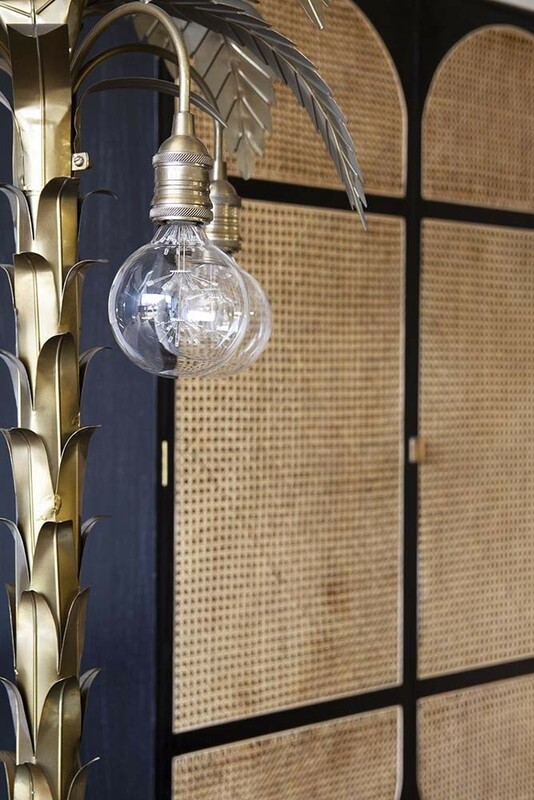 Perfect for most décor styles the Sungkai Woven Cane Wooden Wardrobe will soften industrial interiors, add glorious texture to earthy styles and a trendy twist to boho interiors! 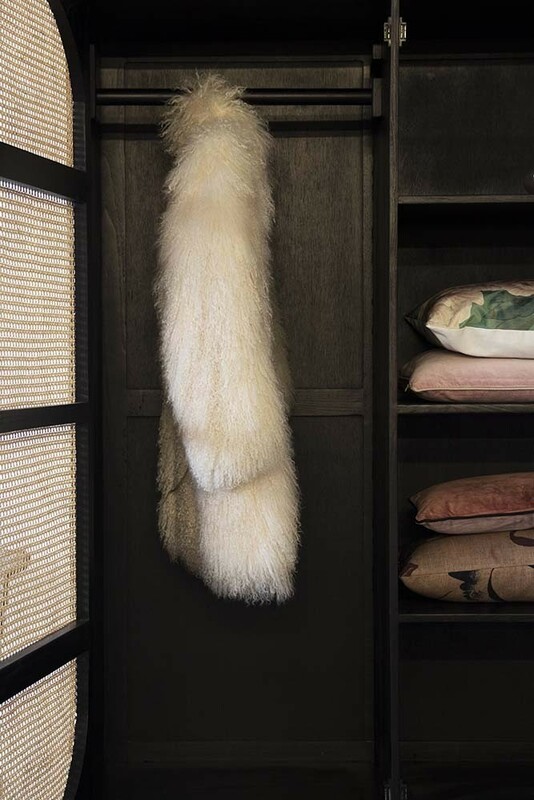 A gorgeous wardrobe for you home, you will love the timeless Sungkai Woven Cane Wooden Wardrobe for years to come. 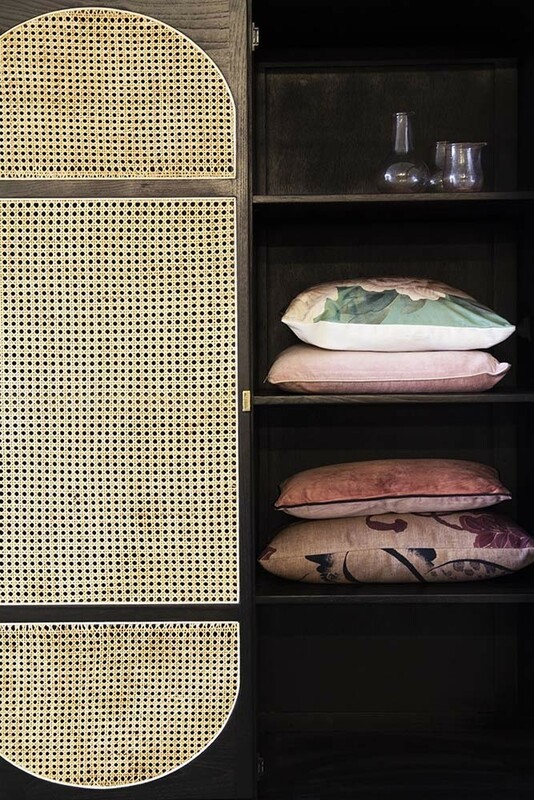 Material: Sungkai wood & webbing. 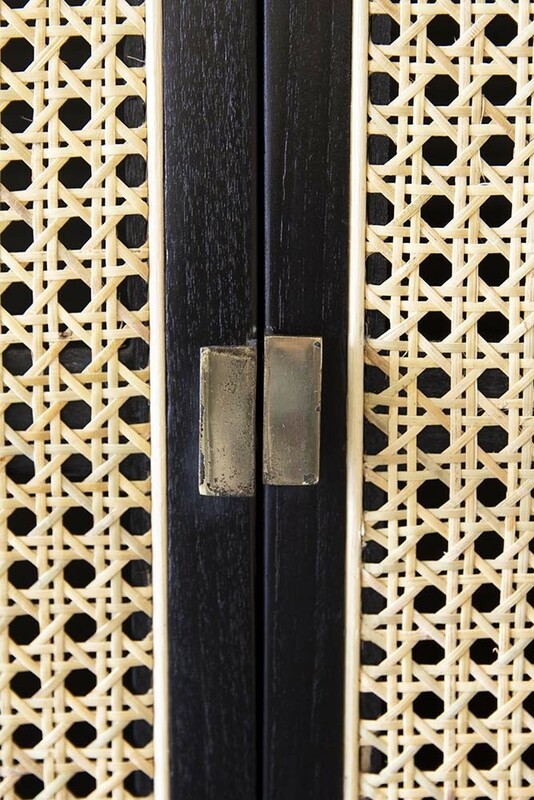 Hinges & handles are brass.